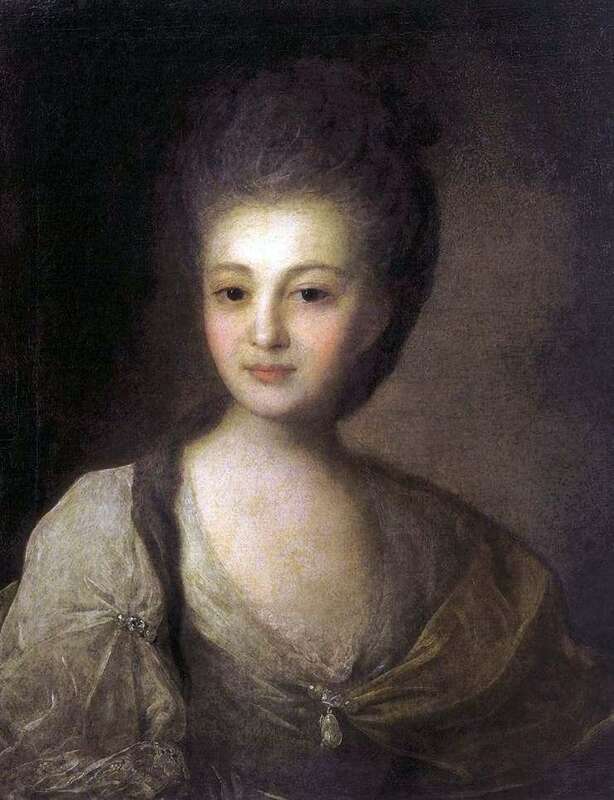 The canvas depicts the second wife of the landowner N. Е. Struysky. A young lady, about eighteen years old. The work appeared in 1772. For Rokotov, this woman became the embodiment of all the positive feminine qualities, because for the author she became the perfect model, because “she was smart and good-looking, and the devil was clever and cunning”. Her image contains subtle features, freshness and youth, such immaculate tenderness. A childlikely charming face, health-glowing skin, a light blush, plump lips and a long neck, hair neatly gathered on the back of the head in a high hairstyle of ashy color, soft and innocent facial features took away the breath of many admirers of real female beauty. Beautifully framing the neckline, the author emphasized her ability to present herself, to show her delicate and elegant taste in clothes. By the way the girl behaves, how she holds her posture and proudly pulls her chest forward, we can say that this person is full of self-esteem and knows “her own worth.” At the same time the figure is light and elegant. Her proud posture speaks of her present notable position, which she bears with honor. The eyes became the most attractive to the image of the landowner’s wife, a young beauty. In the picture it is the darkest element. Almost black eyes become the central object in the picture.